You are here: Home / Delete Social Media / How to Delete Instagram Account? Are you fed up looking the fake photos of people? You didn’t find Instagram your type of social networking site. If you are thinking of getting rid of Instagram account, then we will provide you the guide on how you can delete Instagram account permanently. Before proceeding, mind that, once you delete your Instagram account, you can not get back photos and videos that you have shared using this social media. So make sure that you have backed up all the stuff you may need in future and that you may regret losing. It is too tedious to find this account deletion link from an Instagram application on your smartphone. You have to go to Instagram help center and find this link in the article redirected from support center community. So it is convenient for you to follow the link as mentioned below directly. Notice: – You have to go to this page to delete your Instagram account. You cannot delete your account with the Instagram app on your smartphone. First of all, go to Delete an Instagram Account page?from any web browser you prefer. 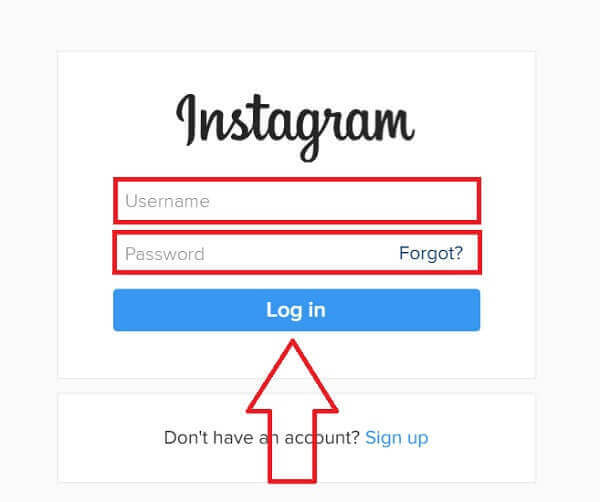 You will be directed to the Instagram login page if you have not logged in Instagram before clicking the Delete Instagram account link above. Log in the Instagram account with the username and password of the account you want to delete. Then, you will be asked the reason that made you think about deleting your Instagram account. Choose an option from the drop-down list. After you have chosen the reason, you will be asked to re-enter Instagram login password. Then, click on the Permanently delete my account option. You will be asked to re-enter your password to confirm that it is you who want to remove Instagram account. Re-enter the password and click on permanently delete my account option at the end of the page. Now you will be out of your Instagram account permanently. Once you delete your Instagram account, you will never be able to use the credential of the account you have deleted. So if you have any plan of coming back to the Instagram any time in future permanently deleting Instagram is not a good idea for you. How to Disable Instagram Account Temporarily? If you are planning to take a short break from Instagram and wish to return to Instagram with the same credentials, then you should try disabling?Instagram account temporarily. Temporarily removing Instagram account will hide your stuff stored in the account. You’ll get full access whenever you login back to the Instagram with existing username and password. Note – You can?disable Instagram account?only once a week. Login Instagram account on your web browser and go to ‘Edit Profile’ > ‘Temporarily disable my account’ at the bottom of the page. Or directly visit Disable Instagram account temporarily page. Provide a reason from the drop-down menu. After that, you have to re-enter your Instagram password to continue further. Finally, click on ‘Temporarily Disable Account‘.